There were the cola wars, and then the french fry wars…now we are witnessing the color wars. 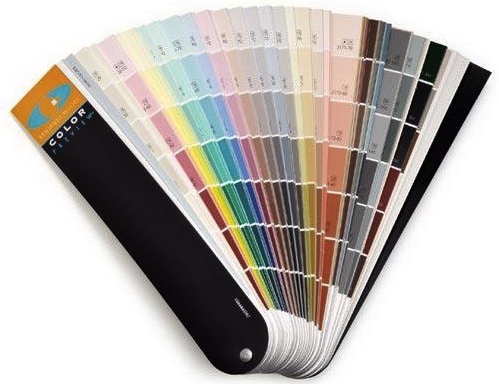 All the major paint brands have been ramping up their marketing and offering all sorts of value added services to lure the DIY (do-it-yourself) decorator to buy paint, specifically their paint. And they are including women in their communications. I think it started a few years ago when Dutch Boy introduced a much friendlier (especially for women) paint bucket that is easier to carry and much easier to pour. Now all the brands, Benjamin Moore, Behr, Dutch Boy, and Sherwin Williams are all in the game of attracting new consumers, especially women, with lots of bells and whistles. Personality tests to find out what color suits you. Room visualizers to help you see what your room will look like in a selected color. And now, an iPhone app that I personally think is really cool. It’s called ben Color Capture. Simply take a picture of an anything that has a color that you like — a car, blade of grass, flower, dress, etc, and the iPhone app will tell you which Benjamin Moore paint color most closely matches it. Shake your iPhone and then the app picks more colors that coordinate. The GPS locator will then send you to the nearest retailer. Pretty amazing. Who will up that in the color wars? I’m sure it’s only moments away.